Old Town Quito, nestled within the Andes Mountains, is full of winding side streets, beautiful churches, and delicious bakeries and cafes. El Centro Historico in Quito, as it is called locally, is one of Ecuador’s UNESCO World Heritage sites. Though formally founded in the 16th century, the history of Quito dates back to the Incan ruins that the city was built on. Spend time walking through the narrow streets of Quito, to gain a unique insight into Ecuador’s rich culture. The music from street performers can always be heard as you wander through the shops and churches throughout the city. On Sundays, the main streets are bustling with people heading to and from church, and the night life is dominated by vibrant salsa clubs and flavorful dining. Direct flights to Quito into Mariscal Sucre International Airport (Airport Code UIO) leave from New York City, Miami, Atlanta, Houston, Bogota, Mexico City, and Panama City, . Quito’s airport is located about 45 minutes east of the city of Quito and is one of the busiest airports in South America. There are several options for getting from the airport to the main part of the city. The Aeroservicios Express Bus (8 USD) runs to the old airport (which is in the city of Quito), where you can then catch a taxi within the city which typically run from 5-10 USD. If you have a lot of time and not a lot of luggage, you can also take a green bus (2 USD) which runs to the Rio Coca bus station in Quito. If you choose this option, be aware that it typically takes 2 hours of travel time and there is no designated place for luggage. If it is your first time to Ecuador, catching a cab is the easiest, and is typically a 25 USD fare. The weather in Quito can be quite unpredictable, so bring clothes for sun, rain, hot and cold. Even though Quito is right near the equator, the high elevation keeps the city at a much milder temperature, and it can actually get quite chilly in the evening. Keep in mind that there is generally a higher chance of rain in the afternoons so make sure to bring an umbrella and raincoat even if it is sunny when you leave for the day! Make sure to pack plenty of pants and long sleeve shirts because, in Ecuador, shorts are not typically worn by either men or women. Pants and longer dresses are suggested for women. 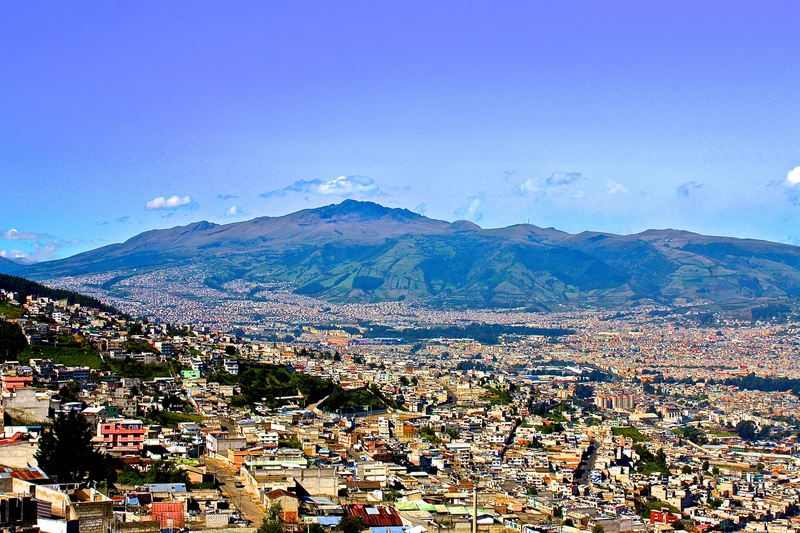 Quito, the capital of Ecuador, is just 20 miles from the equator. But due to its elevation over 9,000 feet (Quito is the highest capital city in the world), the average temperature year round is in the mid-60s (Fahrenheit), and can drop down into the 50s at night. The main seasons are the short dry season (summer) which is from only June to September, followed by winter (the wet season) which lasts October through May. Be aware that the dry season can still have a few days of rainfall. Peak travel season is determined by holidays. If visiting during Christmas or Easter, keep an eye out for numerous processions and festivals in Quito. 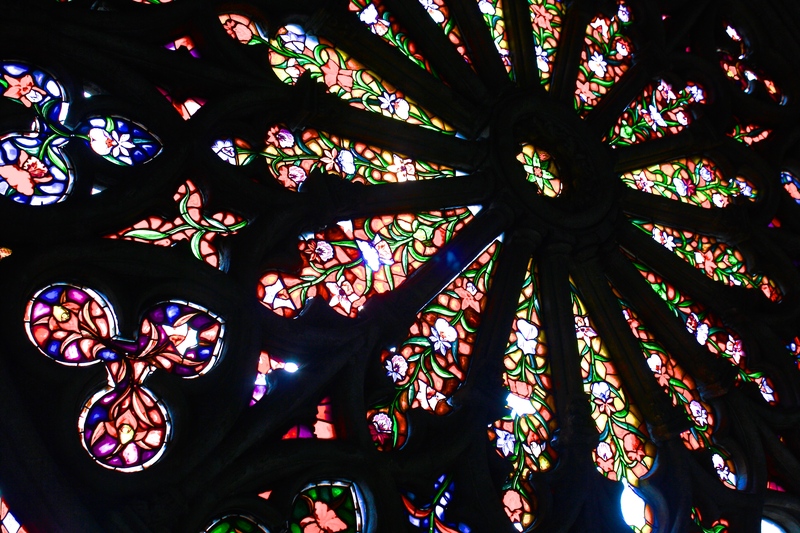 While Ecuador is most famous for the galapagos, some of Ecuador’s best tourist sites are in Quito. 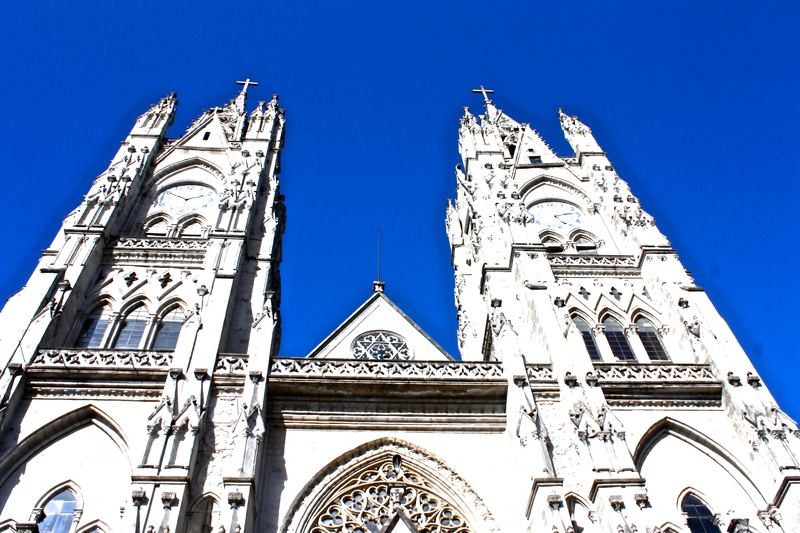 Visit Quito’s numerous churches that have a range of architectural styles. For a great view of the city, climb up the spires at the Basilica of the National Vow and take in the scenery. El Panecillo in Old Town Quito is a giant statue of a winged Virgin Mary. The streets surrounding the statue are not the safest, so take a taxi here. The best place for night life in Quito is La Ronda-a street blocked off for pedestrian traffic only. This street is home to live music, street vendors, and great restaurants. In La Ronda, try Canelazo, a warm alcoholic drink, and the large cheese empanadas. Finally, to get the ultimate view of the city, visit El Teleferico-the world’s second highest cable car. El Teleferico climbs Pichincha Volcano on the eastern side of Quito. On clear days you can see many of the active volcanoes that speckle Ecuador’s landscape. A ride up the cable car is about 4 USD for locals and 8.50 USD for travelers. *Traveler’s Note: The Zika virus was reported in Ecuador in January 2016. It is transmitted by mosquitoes and has been known to cause birth defects. Pregnant women, or women planning to become pregnant, should use caution when traveling to areas affected by the Zika virus. 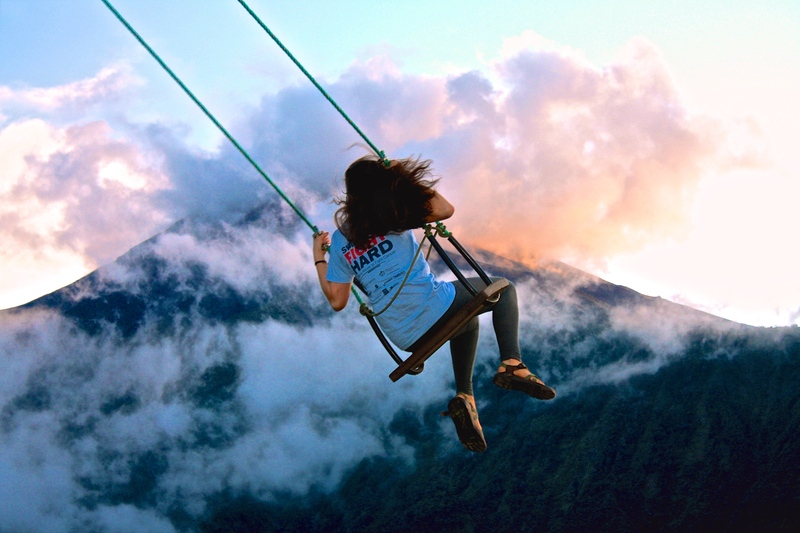 Thanks to our Quito travel expert, Alissa, from Villanova University for sharing her travel recommendations!